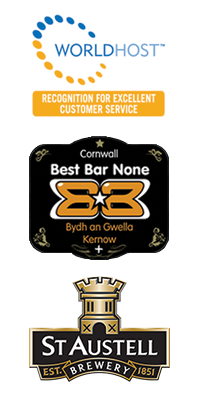 With your favourite St. Austell Ales on draft and regular promotions, why not chill in our Beer garden and enjoy the gorgeous Cornish weather. From our famous Burgers to Ciabattas.. Or even chips! There's something for everyone on our menu! We host a wide array of bands on Fridays to cater to everyones taste and host our Disco Night on Saturdays. Come down and join in on the William IV Vibes. What's on at the William IV? 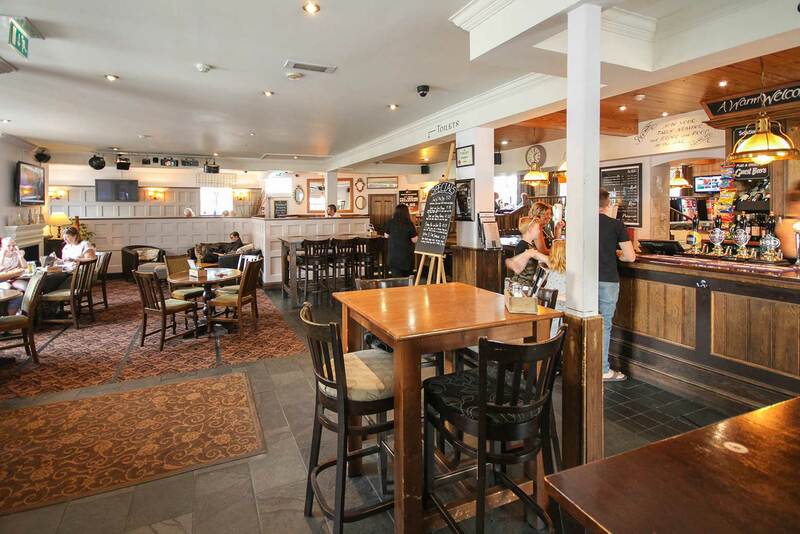 The William IV Truro is a lively pub situated on Kenwyn St in the heart of the city, serving fantastic food all year round using fresh local produce. The décor is a comfortable blend of old and new, creating an atmosphere which is relaxed, informal and individual. Relax in front of the real wood burner on comfy sofas and enjoy the atmosphere of our lounge bar with a well chosen pint of St Austell Breweries Finest Ale or a glass of wine from the wine list featuring classics as well as less known producers. Alternatively you can relax over a long leisurely lunch in our beautiful conservatory with views over the patio and garden area. Forget the hustle and bustle of the city going about its business just outside the door, just chill out for a while and enjoy our hospitality. Shopping is hard work so after chasing the bargains and delights that Truro has to offer. Why not join us for Lunch or Dinner and rest those weary legs. Our aim is to provide the best quality food and drink with the best customer service in a relaxed comfortable and safe environment, where nothing is too much trouble from our sociable and enthusiastic team of staff. Everybody is assured a warm welcome from an excellent team of staff who are always on hand to help in any way they can. Well behaved dogs are welcome, they even have their own treat tub behind the bar! Please feel free to bring them along when you come and visit us. We have a specially designed wheelchair access and disabled toilet facilities as well as baby change facilities. Free WIFI is available throughout the pub. Brewery Awards (Best Garden 2014) is equipped with music and an outdoor TV.